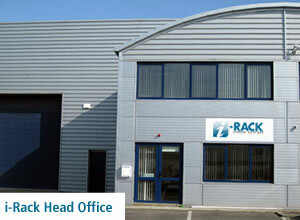 i-Rack prides itself on being one of Ireland's leading suppliers of storage solutions; we are a one stop shop for all your storage requirements. Our broad range enables us to provide you with a complete storage package, whether it is for your industrial, retail or commercial premises. Over the years we have expanded our services to include mezzanine floors & staircases. We've also broadened our range of racking & shelving products to facilitate the ever-diversifying market place. Whether you are expanding or relocating your business, we can help make the transition seamless by designing a quality storage solution tailored to your every need. Let us take this opportunity to welcome you to our site and please feel free to contact us on any of the storage solutions we offer.